The Concours Mondiale de Bruxelles is normally the winning ground for the big guns from Van Ryn’s, Klipdrift and Distell. This year LadiSmith 8 year Vintage Potstill Brandy surprised the veterans at this years competition by winning gold.In sporting terms, that would be like a South African winning Wimbledon. That’s not to take away from this fine result, LadiSmith, from Southern Cape Vineyards, is a worthy winner and all involved should be justly proud of this achievement. South African’s know a thing or two about making brandy, having won the title for Best Brandy in the World in 2010 at the IWSC competition in London with Laborie Alambic. 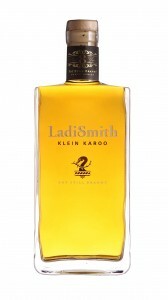 LadiSmith hails from the small town of Ladismith in the Klein Karoo, and is made from the Colombard grape, and is double distilled in copper potstills, and then aged for 8 years in French oak.It has a pleasing light taste, and woud be lovely over a chunk of ice in a tall glass on a summer’s evening (which will eventually come). 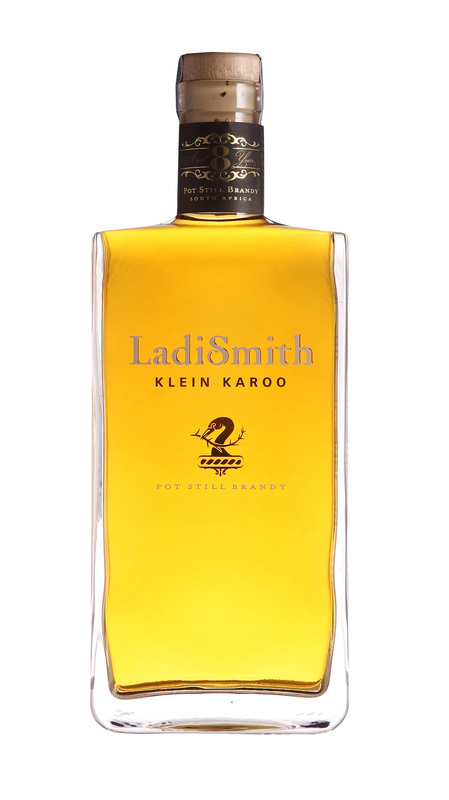 Ladismith, the charming Little Karoo town at the foot of the Klein Swartberg mountain renowned for its legends, rich history, apricots and cheeses, now makes its brandy debut with an eight-year-old wood-matured 100 per cent potstill brandy, inspired by a real-life lady. The LadiSmith 8 Year Old Potstill Brandy pays homage to Lady Juana, the Spanish-born spouse of Sir Harry Smith, one-time governor general of the Cape Province. The town of Ladismith was named after this formidable woman in 1852. The golden elixir with its distinctive Little Karoo character is made from Colombard grapes, a variety that flourishes in the region. Marais explains it is especially the Ladismith district’s night temperatures that help produce quality Colombard. “The drastic drop in temperature at night ensures a longer ripening period for the fruit which results in more concentrated fruit flavours. They are picked almost ripe from selected=”true” vineyard blocks to ensure the desired balance between high fruit acid and low sugar for high-quality brandy base wine.” Then comes the distillation process, the magical art of the alchemist. In this case, the process is guided and controlled not by modern machinery and computer technology, but by the skilled and loving hand of the distiller. This particular brandy is twice distilled in a special copper pot still designed by the late ‘Oom Fasie’ van Niekerk, a legend in the South African world of brandy making. The brandy is then aged in French oak barrels in the Ladismith cellars. Over the next eight years, the interplay between spirit and oak takes place, allowing the fragrant wood to impart a deep golden hue and a richness of complex aromas and flavours to the liquid. Lastly the brandy master once again applies his craft, this time to the selection of brandy from various barrels to make his final blend. The lighter style in which the LadiSmith Potstill Brandy has been fashioned makes it ideal as a summer tipple, cooled with a block of ice or a refreshing dash of chilled sparkling water. On a cold night it becomes a classy consort for traditional Cape malva pudding and is also blissfully in synch with a chocolate truffle and espresso.